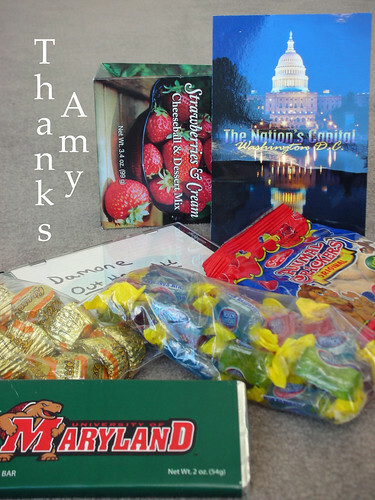 Blogging by Mail– Thanks, Amy! Thank you, Amy! I have a great selection of snacks to last me awhile! And thanks so much to Stephanie from Dispensing Happiness, who organized this event, and I know spent hours, if not days, matching up bloggers from around the world! Little things do mean a lot, and this was great fun!